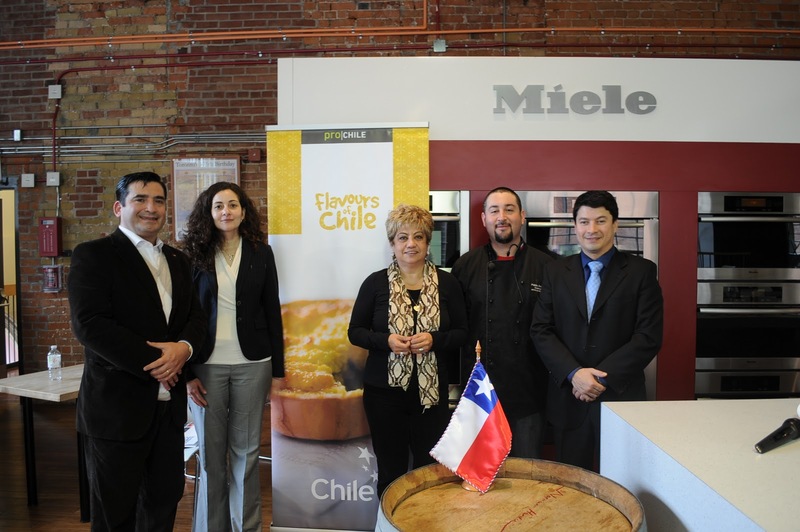 Today we were invited to “Chilean Cuisine Event”, a promotional cooking show organized by Prochile (Trade Commission of Chile in Toronto). As expected, it was a very well organized event and the quality was exceptional in terms of products and human resources. 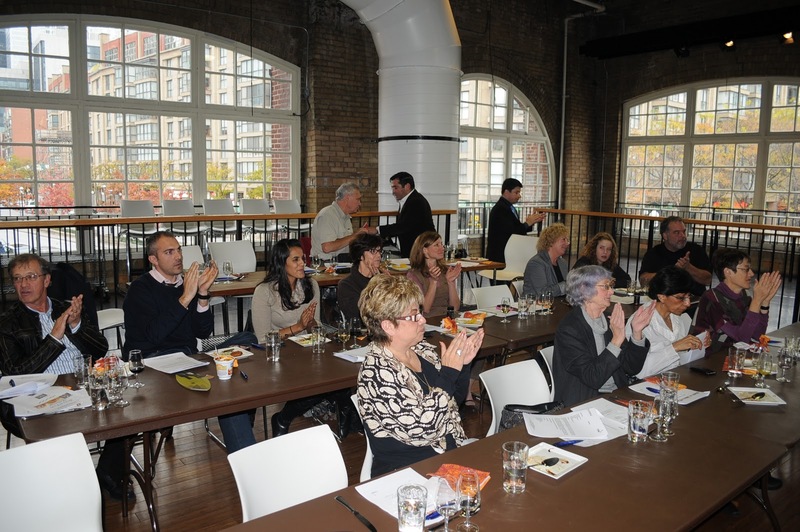 The event took place at the Mezzanine Room at the St Lawrence Market, in the upper level of the market itself. The venue had a splendid light and was very well equipped. One of the members of ProChile welcomed us with a radiant smile and Jose and Ignacio explained and presented the products more in-depth. The chef, Andres Michel, was introduced to the guets and Ignacio Recart, Trade Commisioner for ProChile, had some words to thank everybody for attending the event. Mr. Michel did a brief description of the dishes and cooking ingredients, and explained to the audience the characteristics of the products imported from Chile. The featured products for the gourmet lunch were avocado oil, black olive paste, merken, papaya, olive oil and balsamic oil. 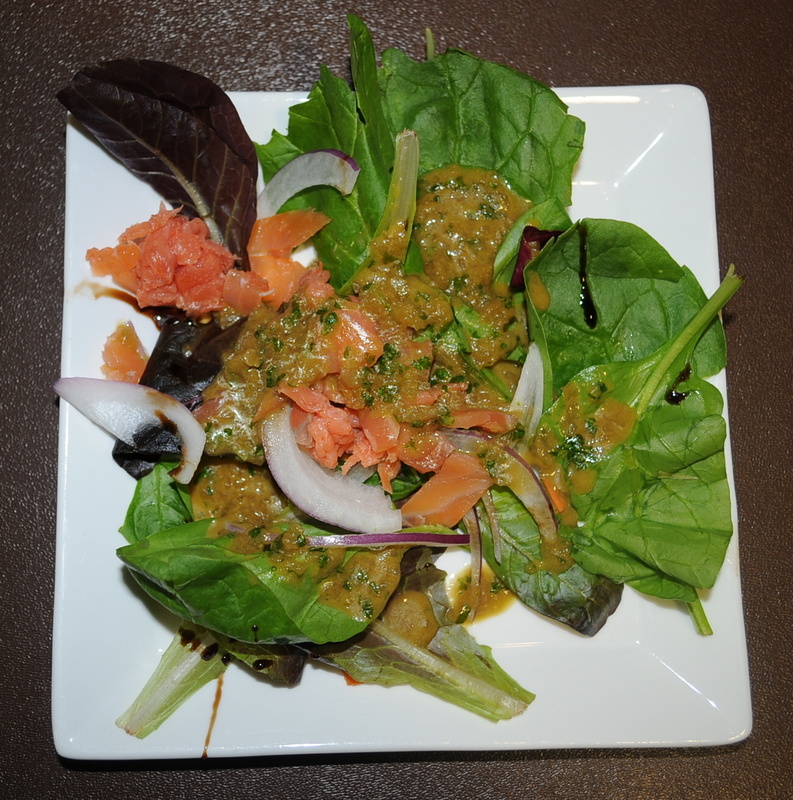 The first course was a smoked salmon salad with papaya dressing. The presentation was spectacular, with bright colors and generous salmon cubes. The blend of exotic flavors and the contrast between papaya and balsamic oil made it an exquisite dish. 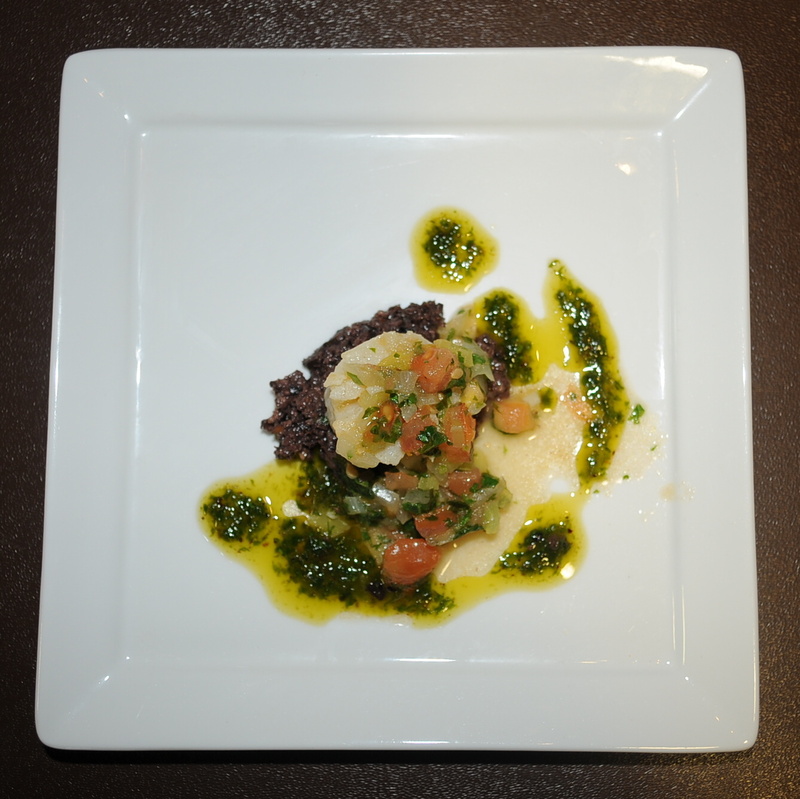 The second course was pan seared scallops over black olive tapenade with hot pebre sauce. The tapenade was deliciously smooth, and the combination of flavors was splendid. The salsa “Pebre” consisted of a smooth sauce similar to the Mexican “pico de gallo”, but warmed in wine and scallop’s sauce. The combination had a very latin soul and frankly, it was pleasantly surprising. After a short round of questions with the chef, the next dish was prepared; this time “beef parmentier sauteed in merken and garlic red wine sauce.” This dish was the most elaborate, it takes about 20 minutes to properly cook the beef, but during that time the chef showed us how to prepare the sauce. 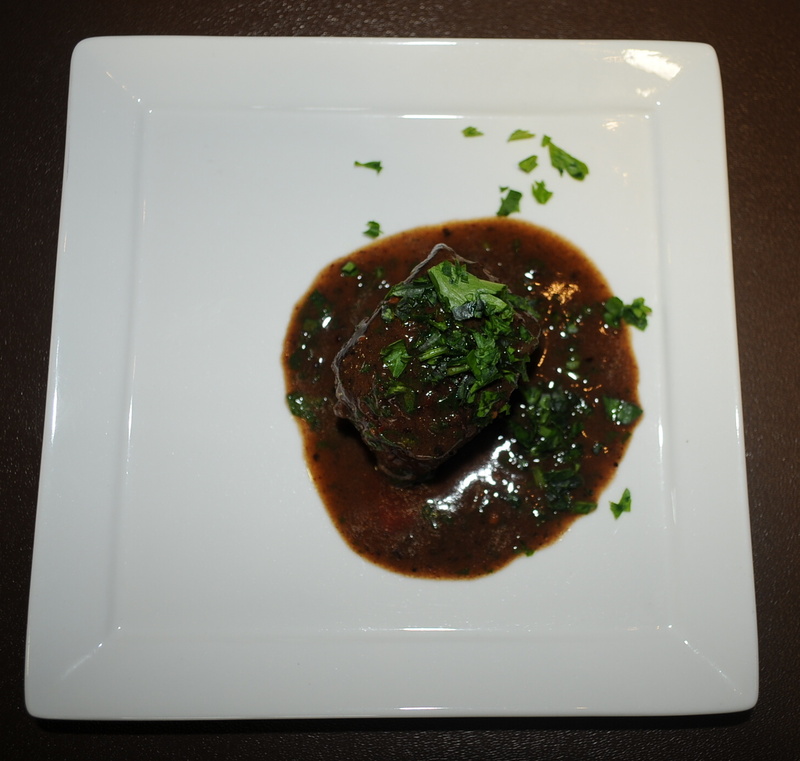 The meat was tender and the sauce consisted in a red wine reduction with merken and garlic. After enjoying this last meal, chef Michel prepared from scratch “sopaipillas”. 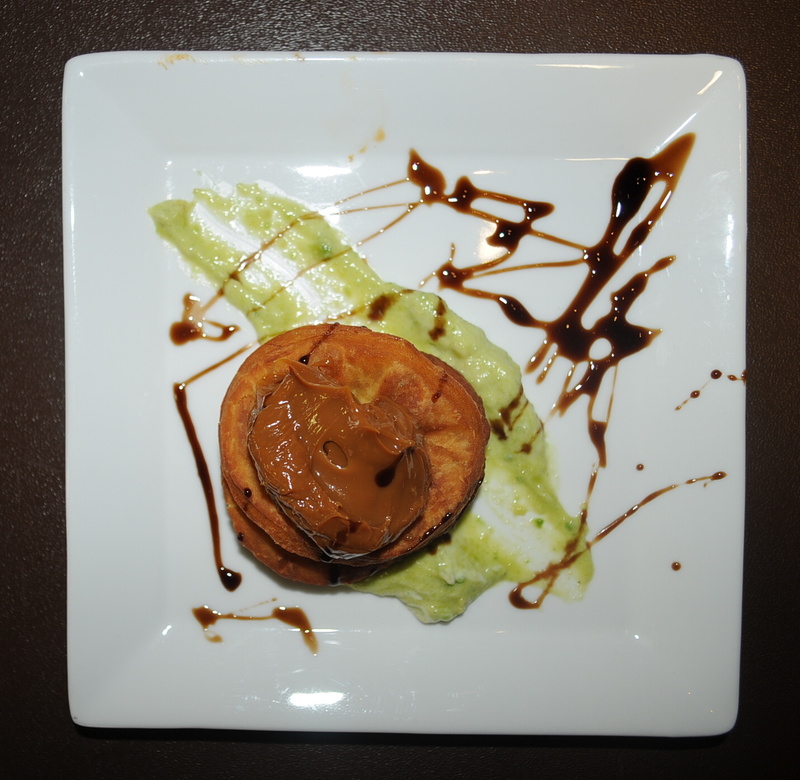 The sopaipillas are small circles of fried dough served with sweet avocado puree and dulce de leche … DELICIOUS! Finally, some of the attendees, made a toast to the chef for an splendid meal and proceeded to network and engage about the products. 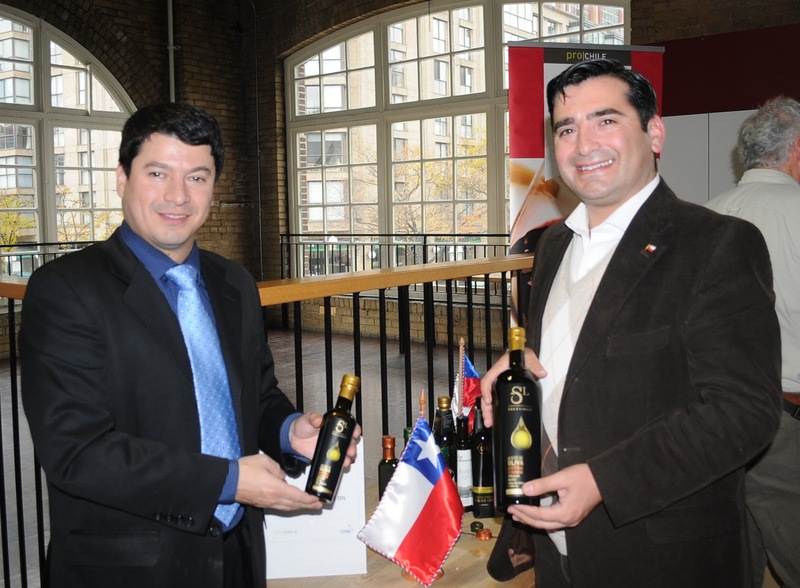 Without doubt, today we had a special gourmet lunch and we were introduced to fantastic Chilean products. Arthur Mendonça has come home with his fall 2011 collection.